A Report: What Does the Open Air Quality Community Need In Order to be Awesome? With the help of people spread across five continents, we’ve got a lot of open air quality data! But here’s the thing: All of the open air quality data in the world doesn’t help advance the fight against air inequality unless there’s a diverse community of users built around it, to use it. The key to building a diverse open air quality community is breaking down barriers that impede anyone interested in air quality issues to participate, from scientists to journalists to students. 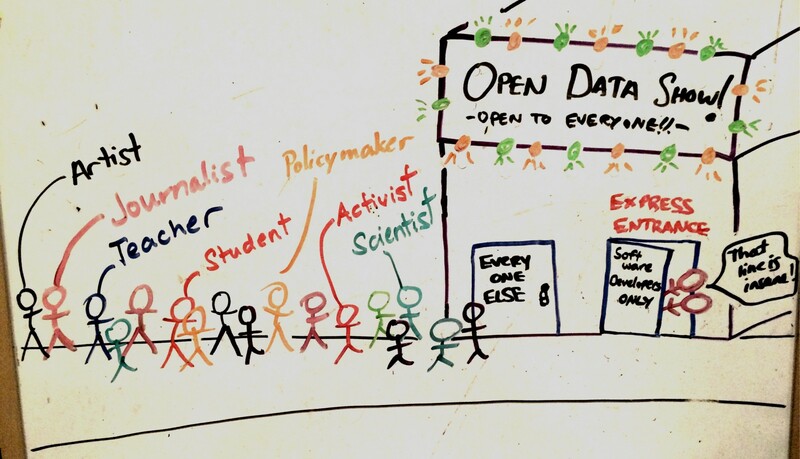 This is a common open data issue: You can make the data technically open, but if you need a lot of expertise, time or software to start digging around, then the data aren’t really open to you. So thanks to funding from the Open Science Prize Phase I, we are able to collaborate with Development Seed and build open-source ways to explore and visualize the open air quality data aggregated onto our platform. Before we built anything, we reached out to community members to figure out what they want to be able to do with the data, what is working on our platform now and what is not. Originating data sources should be clearly indicated and linked. Desire for ‘a sense of rigor,’ as demonstrated through peer-reviewed publications or other external analyses using the data. All possible metadata are included (e.g. temporal averaging times, instrument information, etc.). Users craved more context for what the data may reveal before downloading. Users desired quick ways to visualize comparisons between locations and other parameter of the data. Journalists especially lacked the time to download the data to do their own analyses and would appreciate quick, simple ways to visualize the data. A comment from one of the members of our community. Many users not in tech desired ways besides Slack and Twitter to interact, like an email listserv. Many users wanted to be able to reach out to individuals in the community, to engage and potentially work with them. Community members feel encouraged to participate when other members respond to them quickly and they see other community activities going on. Thanks to all who participated in this process! Access Development Seed’s full report here. We're making an open, real-time air quality data hub because we think it'll let people do amazing things. Want to help out? Find us at openaq.org.